The consortium of lenders in Jet Airways has made it clear to the promoter and chairman of the cash-strapped airline, Naresh Goyal, and partner Etihad Airways that there cannot be only a bank-driven bailout of the Indian carrier and the two will have to play an equal role in getting it out of financial woes. Also, Goyal, according to banking sources, is open to the suggestion of him stepping down from Jet Airways’ board and having no role in managing the airline. He, according to the sources, has also agreed to reduce his equity stake from 51 per cent to around 22 per cent and pledge his shares in Jet Privilege Pvt Ltd (JPPL) as securities. These developments took place during an urgent meeting on Wednesday to find a solution to the gridlock over the resolution plan after Etihad put in various conditions before it accepted the plan. A top banking source privy to the discussion said: “We have made it clear that Etihad and Naresh Goyal should take equal responsibilities for the resolution plan to go through, and that it cannot be just a bank-led bailout. ” Bankers say they have stressed that the cash needed to run the airline, so that it could bridge its interim cash flow mismatch, needs to come not only from banks but also from the promoters and Etihad. The sources said the resolution plan could finally be approved of only in April as several clearances, including those from the civil aviation ministry and oversight panel for vetting resolution proposals, would be needed, besides endorsement of the final proposal from the boards of the banks. Though Goyal appeared to make some compromises, the sources noted that talks between the Jet lenders and Etihad were still taking on various issues. For instance, Etihad is not willing to pledge its shares in either Jet Airways, in which it has a 24 per cent stake, or in JPPL, where it is a joint venture partner. The Abu Dhabi-based airline has also said that it was not in favour of providing a bridge funding of Rs 750 crore against the proposed rights issue, which it has pegged to Rs 5,000 crore -- higher than the resolution plan that had envisaged a rights issue of Rs 4,000 crore. On the other hand, the lenders are not willing to give in to its demand for the right to the first refusal. 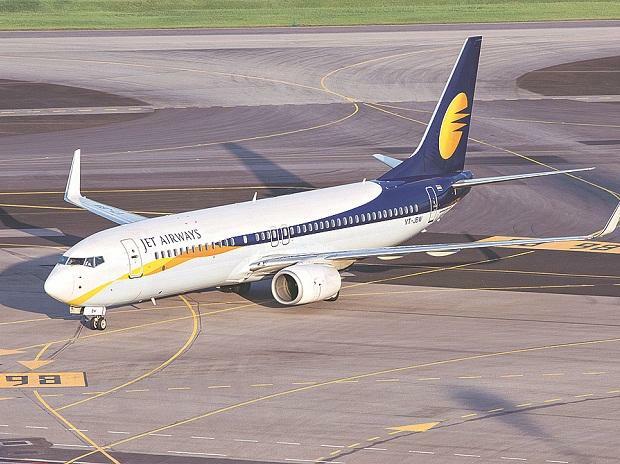 E-mail queries to both Etihad Airways and Jet Airways did not elicit any response. That everything was not hunky-dory was clearly reflected in the fact that Etihad abstained from voting in the extraordinary general meeting held on February 21, where Jet’s shareholders approved of five enabling resolutions to convert its debt into equity, appoint lenders’ nominees on the board, and increase the authorised share capital of the company. The resolutions were passed by 97-99 per cent of the shareholders, sources said. Etihad had raised objections on various issues. But the banking sources said that that they were not looking at going to the National Company Law Tribunal.